So I got this new budget fidget spinner and would like to tell you about it. The spinner comes in a tin presentation box and includes a tool to remove the bearing (nice addition). The body is made from brass and the screwing caps from steel. The bearing included is a 16X8 hybrid type one, ceramic balls, no separator, but works great. 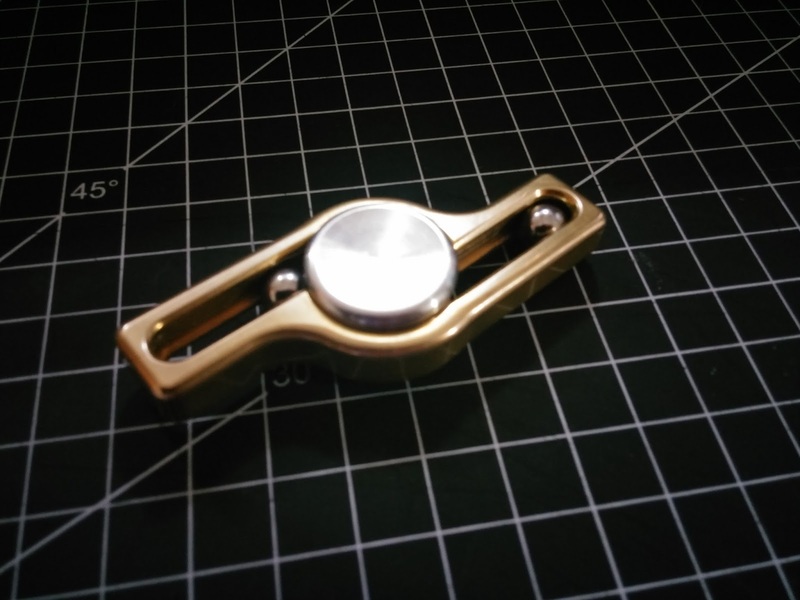 The spinner comes with 6 balls for the weight (3 on each side) and you can adjust the action by removing some of the balls. For me it works best with just one ball on each side. Spinning action is excellent for the price, more than 4 minutes spinning time until full stop on a hard surface. The spinner looks excellent both on and off camera (check out the video) and is pretty easy to spin ergonomically. It's biggest draw is that it is pretty noisy in the pocket when caring it around. Another draw is that it isn't symmetrical, so need to see how you are holding it before you spin it. In conclusion - this is an excellent small budget fidget spinner to try out before you splash on an original one. Gotta give credit to @hogdoggins on IG for inventing this great unique design.